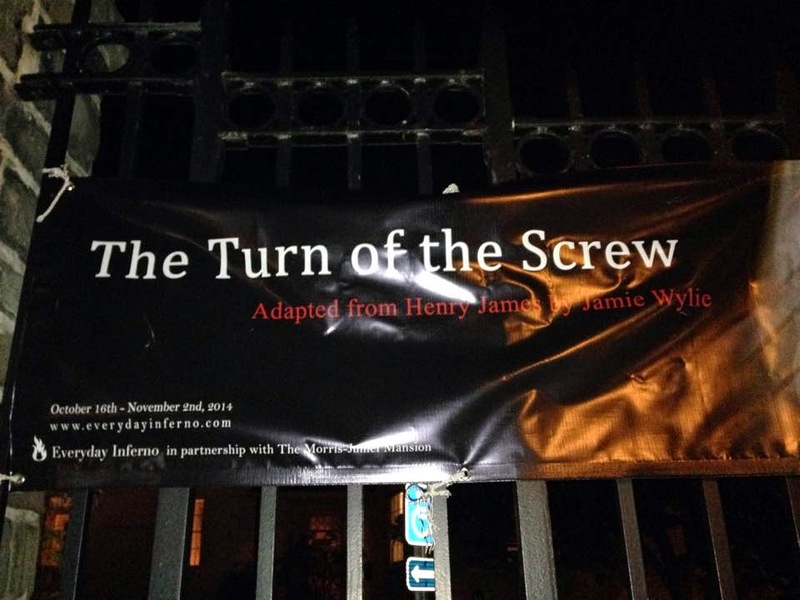 Henry James' thriller The Turn of the Screw is currently on at Everyday Inferno Theatre Company. This stylized production is adapted by company member Jamie Wylie and is eerily set in the Morris-Jumel Mansion, Manhattan's oldest house. Setting the production in the Morris-Jumel is certainly inspired. It was built in 1765 and served as headquarters to General Washington during the Revolutionary War. It is said that ghosts are in residence and on a chilly night in a very quiet section of Washington Heights, I certainly felt a chill. Ms. Wylie has set James' tale in the late evening after a dinner party: a well heeled guest shares a supposedly true story of suspense over after dinner drinks. It's far past dark and the only lighting is moody and fraught with anticipation. The production is simple and elegant, nuanced by Anais Koivisto's direction and period costume design. She allows the evening gloom at Morris-Jumel be a character in this production. The piece moves seamlessly and swiftly and is very well acted, particularly by Meg Kiley Smith as the Governess slipping into madness and Victoria Blankenship as the well-meaning Mrs. Grose. The are joined by a fantastic company of Leslie Gauthier, Leslie Marseglia, James McCloskey, Graham Miles, Sam Ogilvie and Scott David Reeves. Ms. Marseglia is admirably calm as the eerie Miss Jessel. Most of the company does double duty portraying characters and effectively transition. Suprises in scenes had me gasping and jumping in my seat, a testament to the execution of this company. The combination of execution of this classic story, an inspired destination setting and the season guarantees a satisfying evening for any thrill seeker....much more satisfying and immersive than any contrived haunted house during this Halloween season. 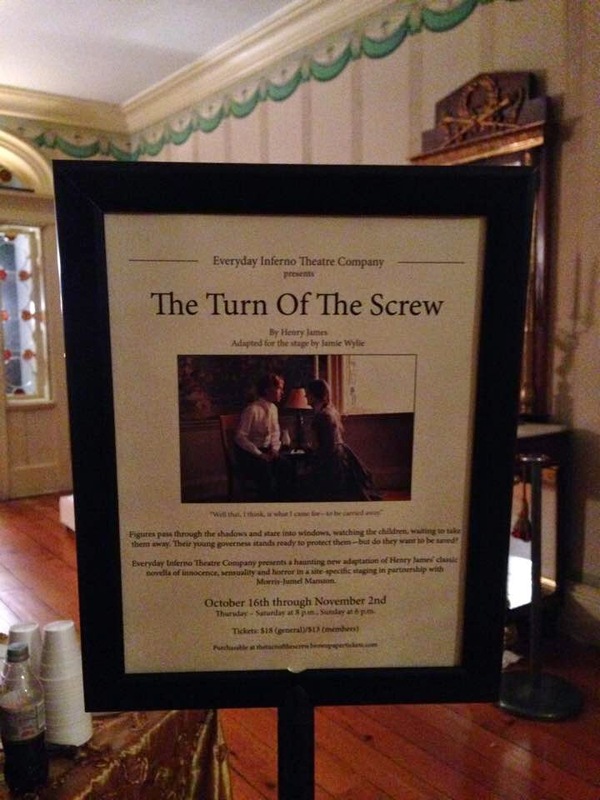 Everyday Inferno Theatre Company offers this production The Turn of the Screw at the The Morris-Jumel, just two blocks off the C train stop at 163rd Street, through November 2nd. Tickets are available via Brown Paper Tickets .